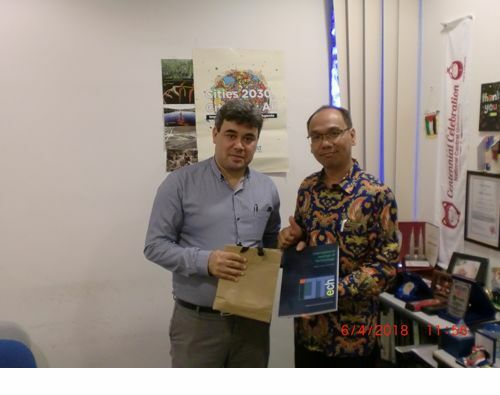 From 4-6 April 2018, Dr. Nyoman Suwartha, S.T., M.T., M.Agr. 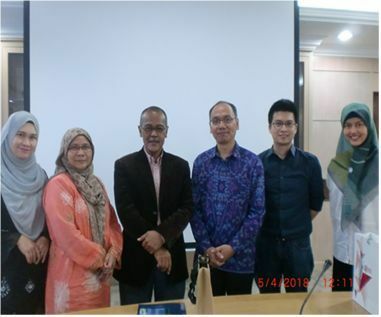 (Head of Environmental Engineering Study Program, Civil Engineering Department), Dr. Cindy Rianti Priadi, S.T., M.Sc., (Secretary of Civil Engineering Department), Dr. Sandyanto Adityosulindro, ST., MT., M.Sc (Lecturer of Civil Engineering Department) visited Universiti Putra Malaysia and Universiti Tunku Abdul Rahman, Malaysia. The objectives of the visits were to provide a forum for both universities to study and discussed on how to develop an excellent curriculum program and quality assurance for Environmental Engineering Study Program, and to strengthened cooperation and explored possible collaborative activities. And the expected outcomes of these visits are gaining an in-depth Information about programme specification, curriculum, quality assurance and also Collaboration activities.